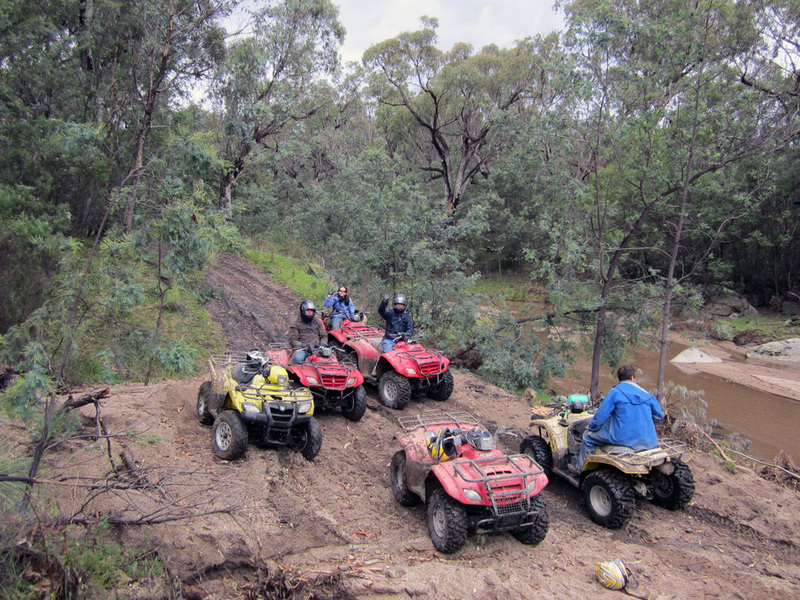 Two days before the wedding, one really has to ask, is quad biking really a good idea??? Ian (the Groom), Lisa (the Bride), Megan, Oscar and myself all had an early start, (will I ever get to sleep in on our holiday! 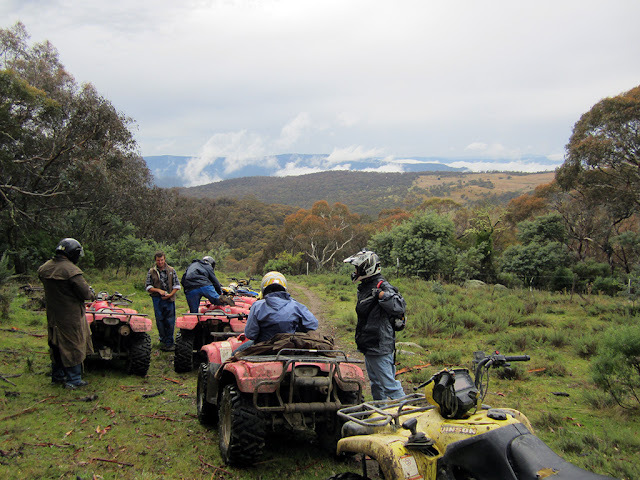 ), to do a full days Quad bike riding on a property in the Snowy Mountains. 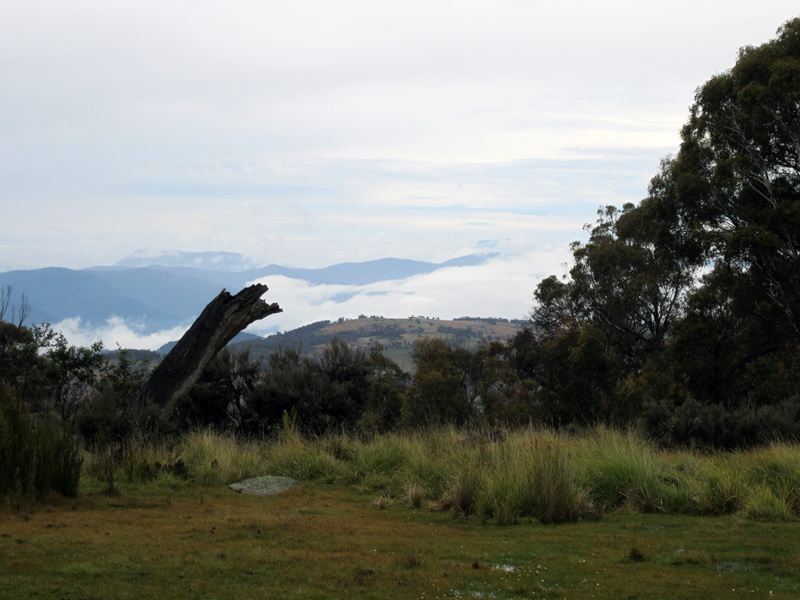 We all headed out to Snowy Mountains Retreat which is about 30km South of Jindabyne. The day was looking very overcast with the occasional shower coming across. We couldn't really tell what the day was going to turn into so we decided to go anyway and see how long we could withstand the cold and/or rain. As it turned out we had cloud cover most of the day and only a shower in the afternoon, so all in all it worked out perfectly. On arrival we knew that it was going to be an interesting day. 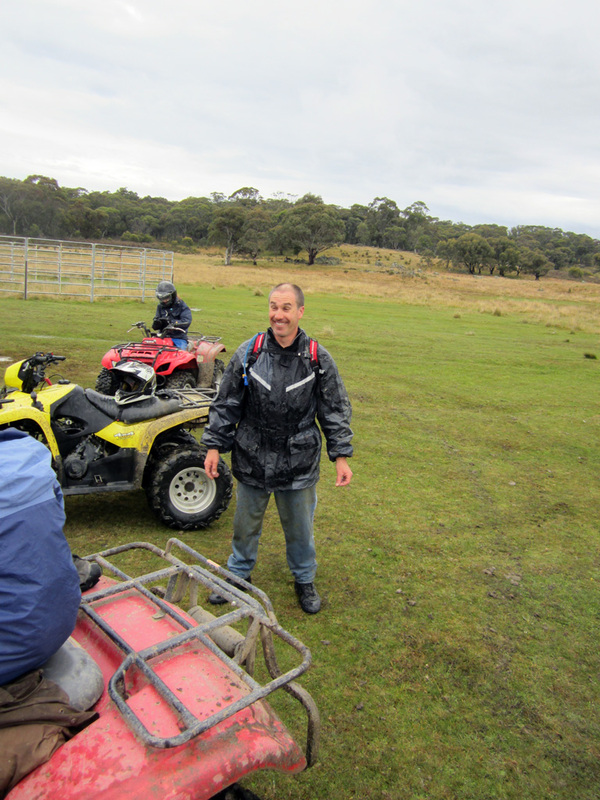 The guides were waiting for us at the start of the track into the property because the track was so muddy and slippery. 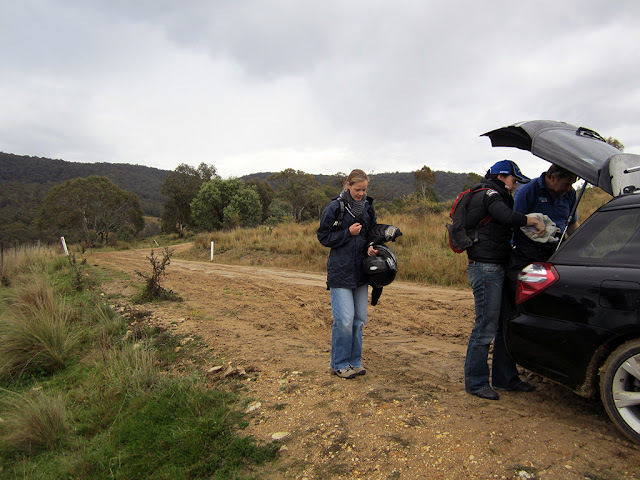 We were in Ian and Lisa's Subaru Outback and even though it was all wheel drive, the low profile tyres weren't exactly useful in the thick sticky mud and it was slipping and sliding even on the flat part of the track just after the gate to the property. We had to abandon the Subaru and jump into the back of the ute with the feed for the horses. The girls got to ride in the cab - but the boys had to stand in the tray while Al, (the guide), negotiated the ute down the muddy and rutted hill with out getting crossed up. The Subie probably would have got down the hill but getting up the hill in the afternoon might have been a different story. 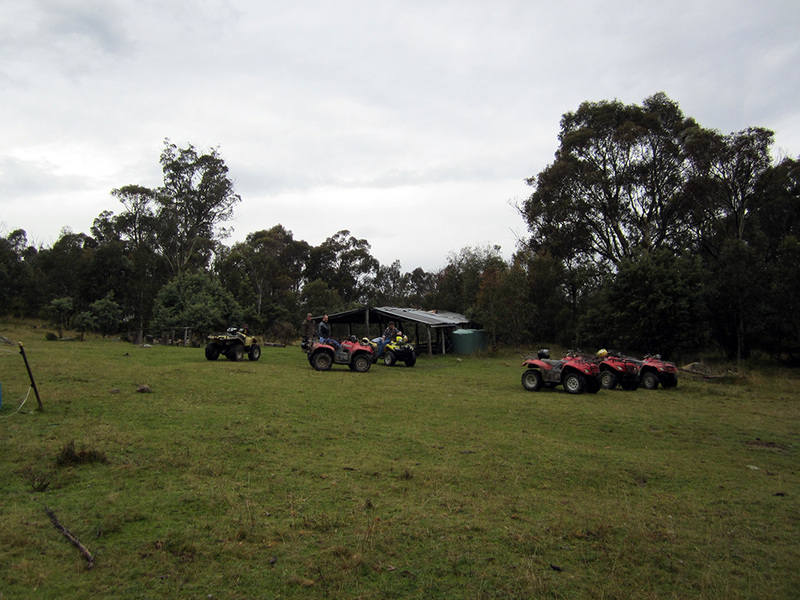 We arrived at the “Office”, which was actually an old sheep shearing shed. We spent a bit of time working out how many layers of cloths and jackets to wear to keep us warm and keep the potential rain out. The place provided us all with Drizabones, full face helmets and gloves. Once we were all suited up it was time to hit the tracks. 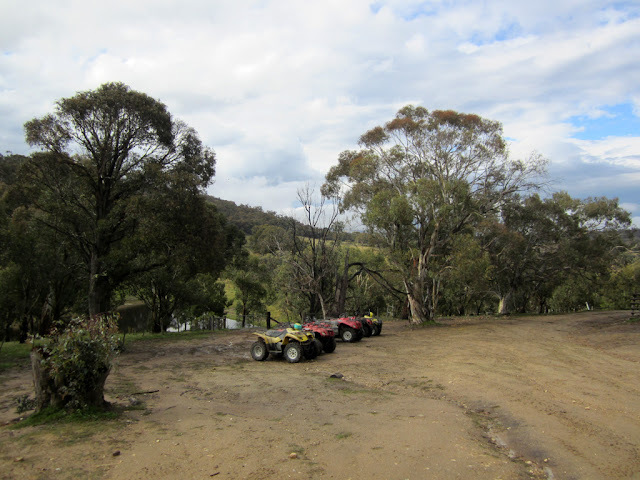 The quad bikes themselves had seen better days. There were bits broken and missing off them left right and centre. They were between 5 and 8 years old and it looked like they were hard years at that. The first part of the morning was spent riding through some of the tight narrow bush tracks on the property and getting use to the bikes handling. The property was about 7,500 acres and they had tracks through most of it. 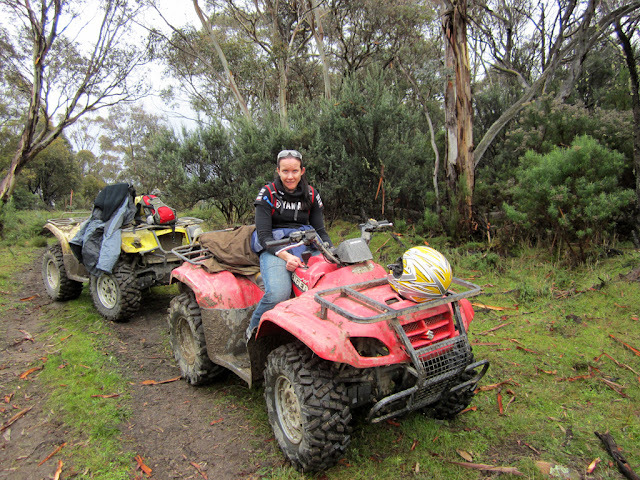 As we were heading through the bush we saw a number of kangaroos and even a group of wild brumbies. The views were just spectacular. We visited a number of the camp sites throughout the property that have some very basic facilities. All the sites consisted of were some corrugated iron sheets tacked onto some trees that had been used as posts with some old wire bed frames to put a swag on. After a good play in the mud it was back to the office for lunch and a few mechanical repairs to the bikes. After lunch we headed out to the other side of the property. It was a pretty long and steep decent down to a creek that cuts the property in two. Al said that with all of the rain that they have had, the back half of the property hasn't been accessible for the last three months due to the creek being too high and deep. 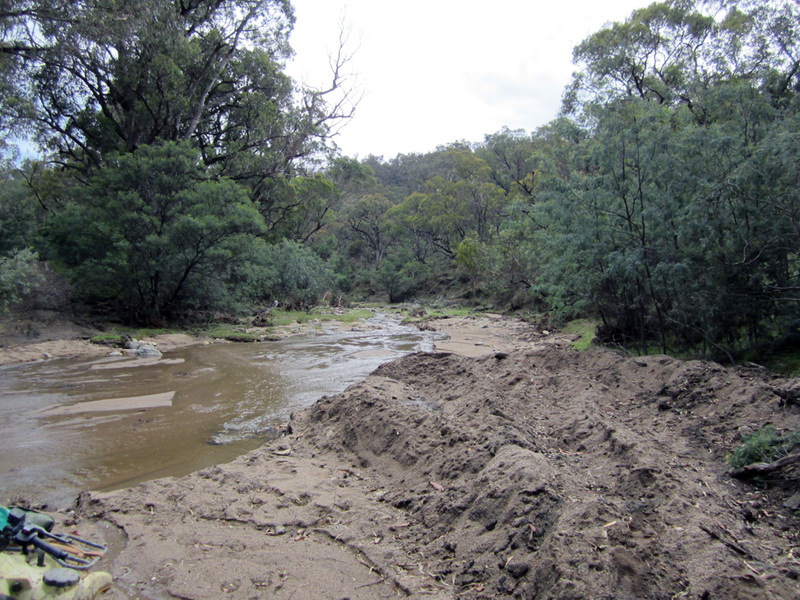 The owner of the property actually got a 4wd stuck in the creek trying to cross it and Al nearly got the dozer stuck trying to pull the 4wd out. The creek had gone down enough that we were able to cross it. We then went up to the furtherest most camp site on the property. We were the first group to get to it in 3 months due to it being cut off. Their “cricket oval” was basically a big swimming pool! 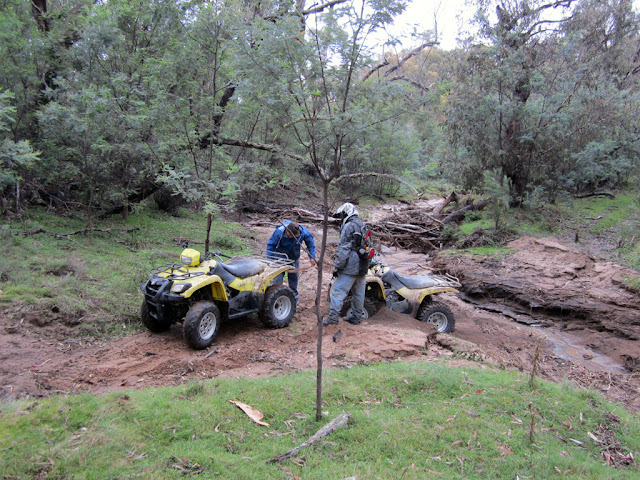 We started to explore off another track that hadn't been used for awhile but found that the creek had cut the track and it was impossible to get to the other side. It was late in the afternoon so we had to return the way we came. Although not without some minor drama. 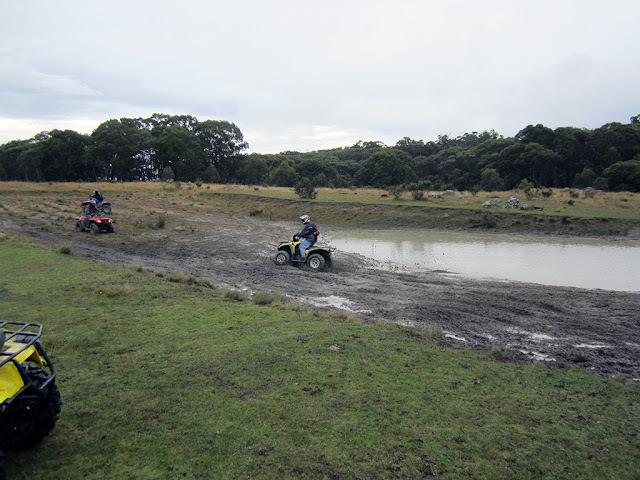 When Al was turning his quad bike around he got stuck in the soft sand and need a hand in getting out. In the end we all just got on a corner and lifted it out. To top it off his handle bars also snapped, again. That is what he was fixing at lunch time. 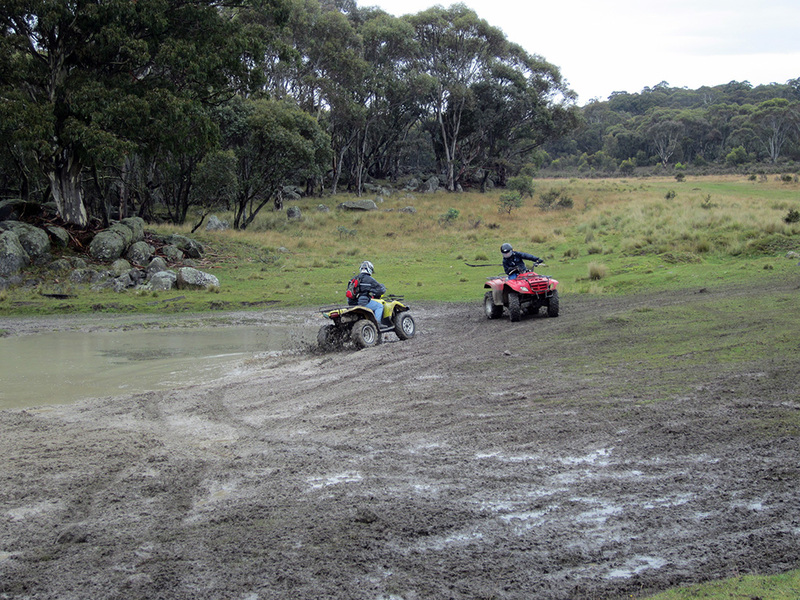 Luckily the side that had the throttle on was the side that stayed attached but it was still a very impressive effort to ride a quad bike back through rough terrain with only one handle bar. 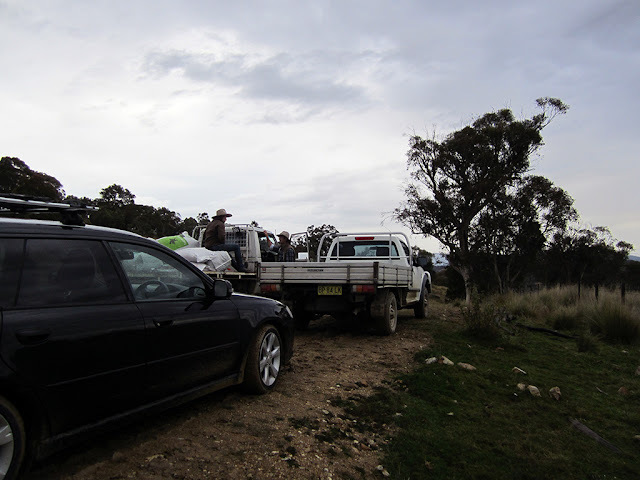 Once we got back to the Office it was time to all jump back into the 4wd ute and try and get back up the slippery hill to the Subaru and head home. A great day was had by all and a lot of stories will be told for years to come.